European Tribune - Comments - There is (offshore wind powered) light at the end of the tunnel! OK I looked up how the suction method foundation is called properly: bucket, then? 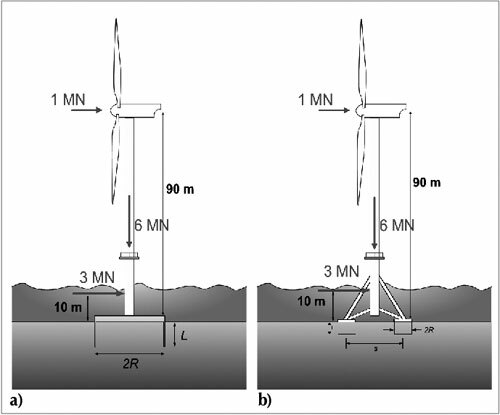 Here's a prototype from 2003 for Enercon's then largest 4.5 MW turbine. A vacuum is created within the bucket, which sinks itself into the seabed without hammering. it's been used in offshore oil and gas, and there are several different types under study for varying offshore depths and conditions. They have won the whale and dolphin "seal" of approval (though have not been tested enough yet for wind use). Prize portion of a rare Caol Ila to be delivered at a meetup to be discussed. Congrat's DoDo.